← Why must that toad, writing, squat on my life? This entry was posted in 02 - New Posts: January 2014 onwards, Writers and Writing and tagged 'The Mountain Astrologer', English teacher, Gratitude Journal, Harpers & Queens, Rumbold Raven's Magic Menagerie, the reluctant writer, The Sunday Herald, Wisps from the Dazzling Darkness. Bookmark the permalink. I think that I’m exhausted and amazed at all of your accomplishments, Anne. And especially how you got through those physically and emotionally debilitating years. I can’t imagine you would wish your life to be any other way, croaking toad and all. Remarkable! Well, BP, I really appreciate your affirmation. Many thanks! Yes, we can only live the life we have been given. There have been times when I have wished for a simpler one, though! And by the way – I really love frogs and toads….where I grew up we didn’t have any since the soil was either too acid or too alkaline(can never remember which!) to support them . So they were a great little wonder to me when I first encountered one, out tramping the Scottish hills in my early twenties. I think that life gives you the gifts to deal with the hardships – how you use them is the tricky bit. You have done so superbly well and so I know that wee frog will never stop croaking – and thankfully you will never stop writing or inspiring others to do so. Many thanks for dropping by, Carole. 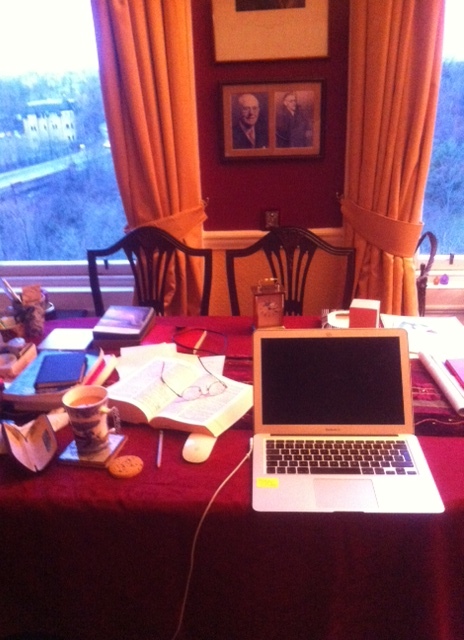 I’m looking forward to seeing you – and your thoughts on poetry – here shortly, as my first Guest of 2014!